Shinde, a Dalit with a political career spanning more than four decades, will contest from his home turf Solapur in Maharashtra. Senior Congress leader and former Union home minister Sushilkumar Shinde, who is contesting his “last” career election from home turf Solapur in Maharashtra, is facing headwinds from Vanchit Bahujan Aghadi’s Prakash Ambedkar and BJP’s Lingayat pick Jaisiddeshwar Swami. Perhaps realising that going will not be easy for him this time, Shinde, 77, has appealed to NCP chief and his “political guru” Sharad Pawar for his help. The Congress and the NCP are contesting the Lok Sabha elections in alliance. Shinde, a Dalit with a political career spanning more than four decades, suffered a drubbing from BJP’s Sharad Bansode in the 2014 general elections in the traditional Congress citadel. Subsequently, BJP won Solapur municipal corporation and zilla parishad. Political observers feel the entry of Dalit leader Ambedkar and Jaisiddeshwar Swami in the poll fray in the constituency which comprises Lingayats, Padmashalis, Marathas, Muslims, and OBCs, could queer the pitch for Shinde, a former chief minister. Further complicating the matters for Shinde, the CPI (M), which has a loyal vote bank in the constituency, has extended its support to Ambedkar. As per demographics of the constituency, Lingayats is a dominating community, followed by Padmashalis, Muslims, Marathas and OBCs. The constituency has a sizable population of Telugu and Kannada-speaking voters. Of total 18,20,261 voters, 9,48,510 are males and 8,71,710 are females. The constituency is spread across six assembly segments, namely Mohol, Solapur City North, Solapur City Central, Akkalkot, Solapur South and Pandharpur. Shinde had begun his political career from Karmala in Solapur district by winning an assembly by-poll in 1974. Five years since the defeat, Shinde now feels the “secular” profile of Solapur will help him sail through. “I consider election as a war field. The BJP candidate is a religious figure whereas Ambedkar is casteist. Where are we heading? Solapur, when it was a general seat, had elected me twice to the Lok Sabha and also to the assembly despite I am being a Dalit. Solapur is a secular constituency and I am sure my people will support me,” he told PTI. However, it was evident from Shinde’s appeal to Pawar for help that the seasoned politician is well aware of the political undercurrents in the constituency. Addressing workers of the Congress and the NCP in Solapur Wednesday, he said, “this is my last election. I want blessings of Pawar saheb. He has always extended his cooperation to me”. 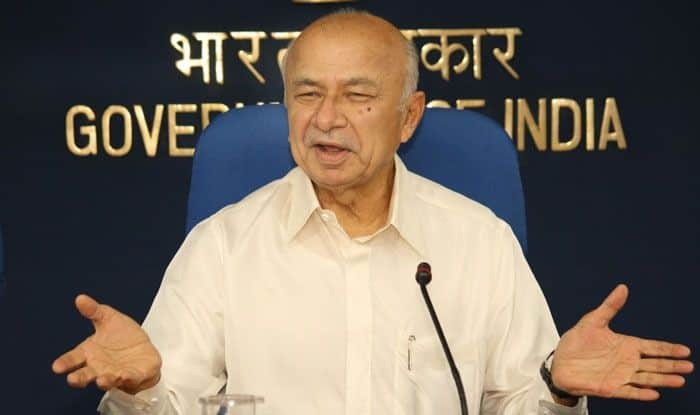 Reflecting on his defeat in 2014 polls, Shinde said he became a victim of the popular perception that the then UPA government was a corrupt dispensation. Observers attributed Shinde’s defeat to the “Modi wave” and voter fatigue. Among issues that matter the most in the constituency is a severe shortage of water. “Earlier, even when Ujni dam had less stock of water, Solapur used to get water supply once in three days. But now, though the dam is full, still there is no water supply for five days,” they said. People are suffering because Solapur municipal corporation seems to be in disarray and development works are pending, the observers said. Cooperation Minister Subhash Deshmukh, who is MLA from Solapur South, and Minister of State for Labour and Transport Vijay Deshmukh, who is legislator from Solapur North, are also at loggerheads, they said. Congress workers also said Shinde had ensured that Solapur district got the airport, Ujni-Solapur water pipeline, an NTPC power grid and an educational university. He had won the seat in 1998, 1999 and 2009. They said the project works were not taken forward by the BJP, as a result of which the old airport stands closed now. Congress leaders are counting on farmers, small traders and youths to support Shinde. Ambedkar, who hails from Vidarbha region, told PTI he decided to contest from Solapur apart from Akola in support of the Dhangar community which is demanding ST quota. He said the Congress had no right to accuse him of helping the BJP. “Solapur is not new to me. The Congress did not find a suitable candidate in Ratnagiri-Sindhudurg seat and fielded a person who has a soft corner for Sanathan Sanstha. That party has no right to accuse me of helping the BJP through my candidature,” he said. BJP spokesman Keshav Upadhaye said the party replaced sitting MP Bansode in Solapur after considering sentiments of local party workers. “The Lingayat spiritual leader has a good image and commands a good following in the community,” he said.